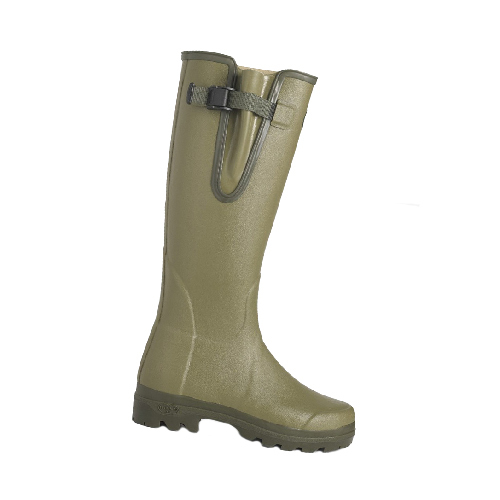 Iconic field and country tall rubber boot. Handcrafted from natural rubber with a polycotton, tartan patterned jersey lining for comfortable use in warmer seasons. Built around a womans aluminium last and featuring an adjustable waterproof gusset with snap-fastening buckle to ensure comfortable fit around the calf and leg. Shock absorbing dual-density Grip outsole prevents fatigue resists abrasion and is suitable for all terrains.